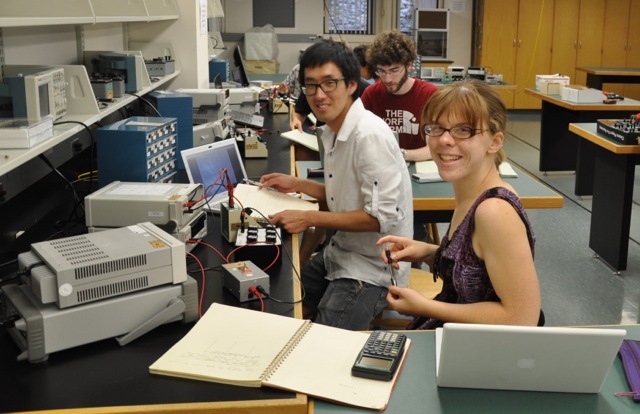 The physics program at Harvey Mudd College offers a physics major with both depth and breadth in classical and modern physics, theory and experiment, and foundations and applications. It does so through lecture-discussion courses, laboratories, and joint student-faculty research. 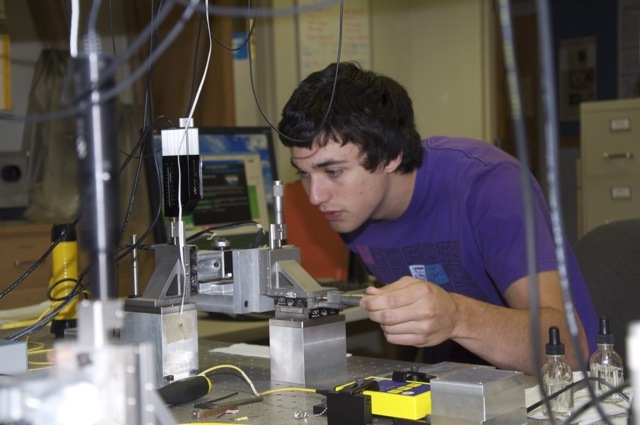 The program serves as a strong foundation for graduate work or employment in physics and other technical fields. The goal of the program is to produce exceptionally able graduates with a strong understanding of, and deep interest in, physics, and with an unusually broad background in science, mathematics, technology, humanities and the social sciences, as provided by the HMC curriculum. Among non-PhD-granting institutions, none graduate as many physics majors as HMC (apart from military academies). A greater fraction of our graduates earn prestigious NSF graduate fellowships than almost any other school. Open door policy — professors make themselves very accessible to students in both core and upper division courses.